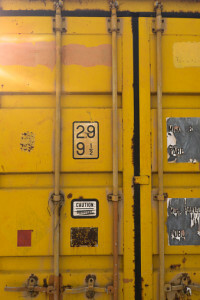 Storage container rental near Denver CO, doesn’t need to be a hassle. Haulaway has been serving the region for nearly five decades, and we want to be the solution for everyone who needs portable storage. We offer steel storage containers that come in a range of sizes, with double doors that open at ground level. Choose from 10’, 20’, 21’, 26’, or 40’ long containers, depending on exactly how much space you need. Get your free quote today, by phone or online. Our temporary storage is designed to be a simple, on-demand solution, delivered when you need it and picked up when you’re done with it. Our shipping containers are also highly affordable, and are trusted for a wide variety of local government uses. Parks and Recreation departments could place a unit in the parking lot at a city park to store construction equipment and supplies while the department expands or updates the park. We rent shipping containers in Arizona, California, Oregon, Washington, Nevada, Utah, and Colorado, and we want to facilitate your municipal storage today. Aside from the many government uses for storage container rental near Denver CO, we have customers in a wide array of industries. Schools, offices, hospitals, and retail establishments trust Haulaway when they need extra space for storage or to complete a project on their premises. The construction industry trusts our service, because we’re professionals and we provide the highest quality containers fast, with the best customer service in the industry. Residential customers will also find our service convenient and affordable. For homeowners remodeling their residence or rental property, our shipping containers serve as an ideal place to keep furniture while working on a room. Your pieces won’t be damaged during construction, and they won’t take up space in another room of the house. Or you could use your rental unit to keep construction materials and equipment, until you’re ready to use them in your home. However you choose to use your unit, we offer a versatile option for nearly any need.